In the beginning, I was quite diligent with my watering duties, and even used some of the parsley in an omelette (such a proud plant-mama moment). Fast forward a few weeks, however, and my parsley and mizuna plants had, quite literally, dropped dead. Needless to say, I am now tagged in every meme about killing plants on Facebook. 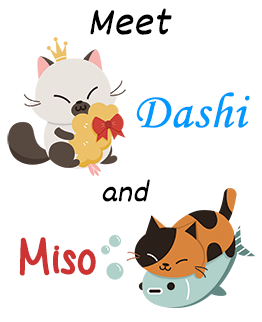 But, you guys, my shiso plant is still going strong! So, I mean, 1 out of 3 of my plants didn’t die. I could still have a future in plant growing, you know? One garden I did successfully not kill “grow” this summer was this flower garden soboro bento box. What is soboro? Soboro is basically any kind of meat or veggie that’s chopped up nice and small, deftly seasoned, then cooked up and eaten with rice. A super classic Japanese bento combination is the “tri-color soboro” bento, which incorporates beef soboro, egg soboro, and some sort of green veggie soboro (such as green beans or spinach). The different colors are always quite striking when aligned next to each other, and the flavor combo is always a winner, no matter if it’s eaten hot, cold, or at room-temperature. 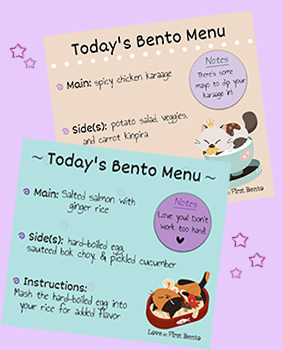 If you’re interested, the recipe I always use to make my various soboros can be found in the Just Bento cookbook – it’s literally my all time favorite cookbook. 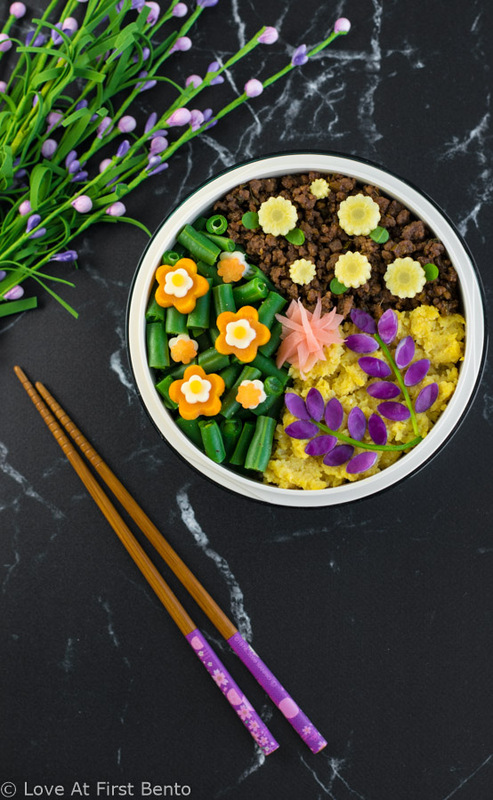 I decided to put a more elegant twist on this classic bento by using the actual soboro as a base to build a beautiful, summer-inspired flower garden. 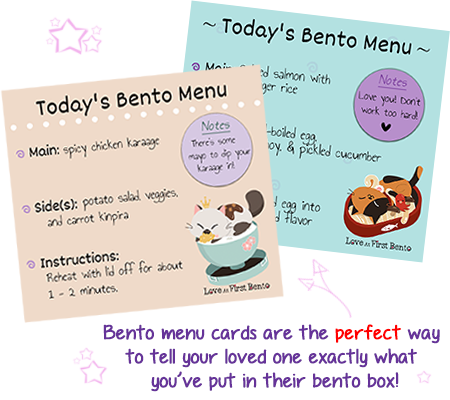 Now, I know it looks like a lot of complex, laborious decorating went down with this bento box, but you will be pleasantly surprised to learn that this is actually not the case at all. 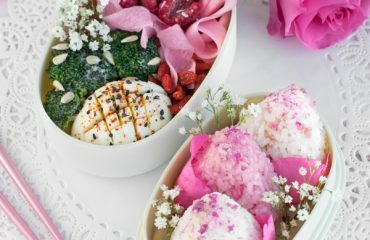 In fact, this bento was quite a pleasure to build, and, as long as you have some flower-shaped cookie or food cutters, creating this bento is a snap. 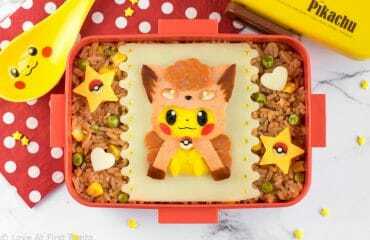 And afterwards, you can look forward to basking in the glory of everyone thinking that you performed back-breaking surgery to decorate this work of bento art. Total win-win situation here. Carrots + cheese = cheery orange and white flowers that most likely don’t exist in nature, but guess what? 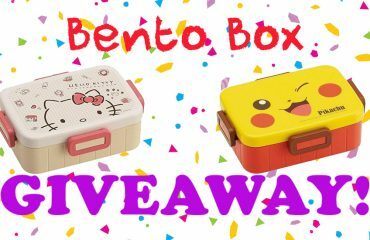 They do in bento boxes! Baby corn + spinach = dainty yellow buttercups. Purple cabbage + spinach stem = gorgeous sprigs of lavender. 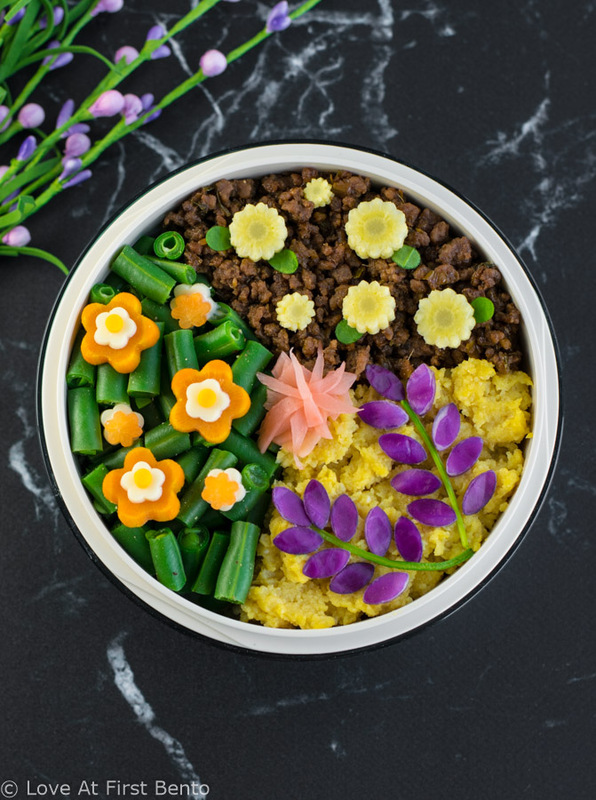 So create a fresh, floral taste experience for your next bento lunch, by trying out this unsuspectingly easy, undeniably beautiful flower garden soboro bento! I promise you, the compliments from others on this one WILL NOT STOP. 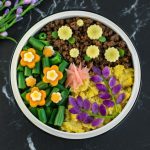 Step-by-step instructions for creating a beautiful Flower Garden Soboro bento box – an elegant & delicious twist on the classic tri-color soboro bento. Boil carrot slices in water or dashi until tender. 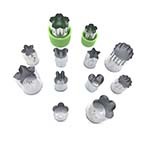 Using the larger flower cutter (2.5 cm), punch out flower shapes from the carrots. 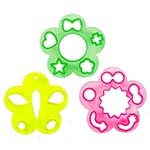 Using the smaller flower cutter (1 cm), cut out flower shapes from the white cheese. You should cut out the same amount as you have carrot flowers. Using a small circle cutter or drinking straw, cut out circles from the orange cheese. You should cut out the same amount as you have carrot flowers. 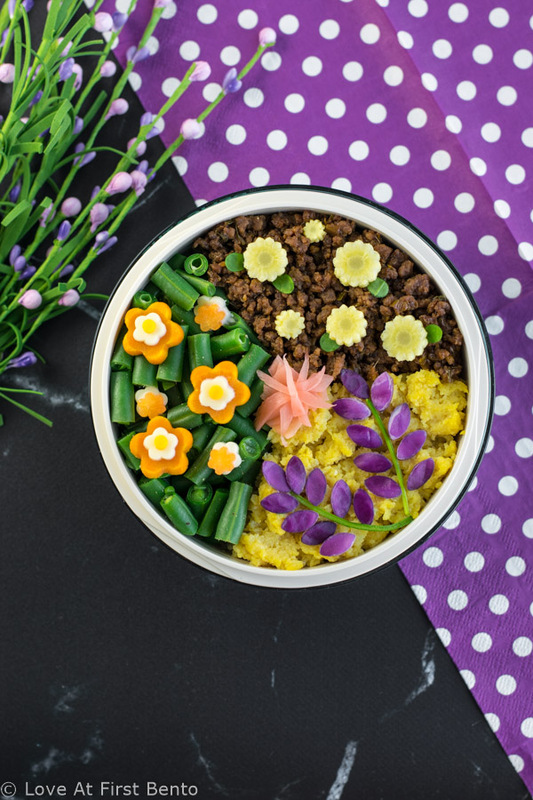 Using tweezers or chopsticks, place the carrot flowers on top of the green soboro portion of the bento. 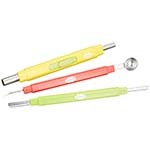 Using tweezers, place the white cheese flowers on top of each carrot flower, right in the middle. Using tweezers, place the orange cheese circles on top of each white flower, right in the middle. With a knife, slice the baby corn into thin coins. Take a baby spinach leaf and carefully slide your knife down along the line where the stem meets the leaf. Repeat this on the other side until you have fully separated the stem from the leaf. Set the stem aside (don’t throw it away!). Repeat as many times as necessary. 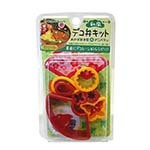 Using the teardrop cutter, cut out teardrop shapes from the spinach leaf pieces. These will become leaves for your corn flower. Using tweezers, place the corn pieces (cut side up) on top of the beef soboro portion of the bento. Using tweezers, place the spinach leaf cutouts beside each corn flower, so that the pointy part is touching the side of the corn. You can place one leaf onto each corn, two leaves per corn, or vary it up – it’s up to you! Using the petal cutter, punch out petal shapes from the purple cabbage. It’s best to use flatter pieces of cabbage for this. 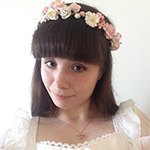 For one flower sprig, you will need approximately 9 cabbage petals. Using tweezers, place the spinach stems that were set aside onto the egg soboro portion of the bento. You may need to cut them a bit shorter so that they fit better. 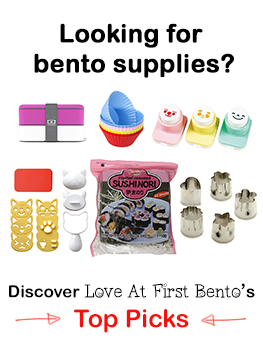 Ideally, one end of the stem should be touching the edge of your bento box. Using tweezers, place the cabbage petals along the top and sides of each spinach stem. For mine, I placed 4 petals on each side of the stem, and one at the very top. Place the petals so that they are pointing slightly upwards. To make the beef, egg, and green bean soboro, I followed the recipes in the Just Bento cookbook. If you don’t have a teardrop cutter to make the leaves, you can always use a small heart cutter – just cut out a heart, then cut it right down the center with a knife. A small oval cutter would be a good substitute for the petal cutter used on the purple cabbage.